Long time not blogging, very busy lately. 😥 Make some time to write so memory won’t vanish. Checked my photo in my photo library in my PC and I found these photo and I wanna write down about the stories. I can’t remember the date 😦 , But it’s around September 2013 if I’m not wrong. I went to Medan for my best friend’s wedding reception. Her name is Rosabella, she is my high school friend at Sutomo 1 Medan. We’re in one gank and she is very kind, warm, love green color and has ‘Sister’ appearance and attitude, so I call her ‘Cie’ means sister. She doesn’t mind about it. I’m so happy she’s married. One more main purpose to go back home is meet my family and my NEW Family Member, My Nephew, Owen Dharma Kho who was born at April 9th 2013. I only saw my cute nephew through the phone. Never met him. Now I can’t wait to see him in person. 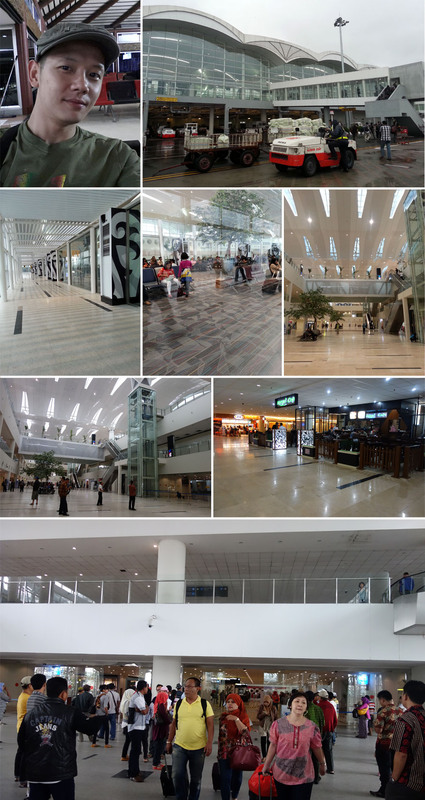 This time is very excited, It is also the first time I landed at the Newest Airport in Medan (not actually in the town, kinda outside), KUALANAMU. The airport is nice! Much much better than the old one, Polonia. New airport makes me feel like a tourist. My brother, Ben (Father of Owen), picked me up. 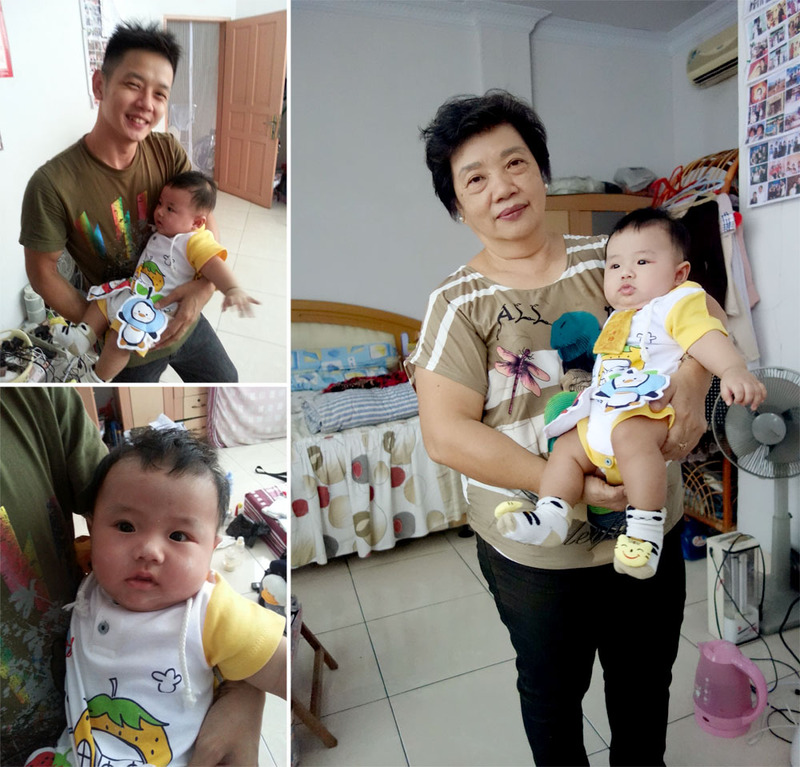 I met my mother and sisters and hahaha my cute little nephew, Owen with her mother, Dewi (sister in law). 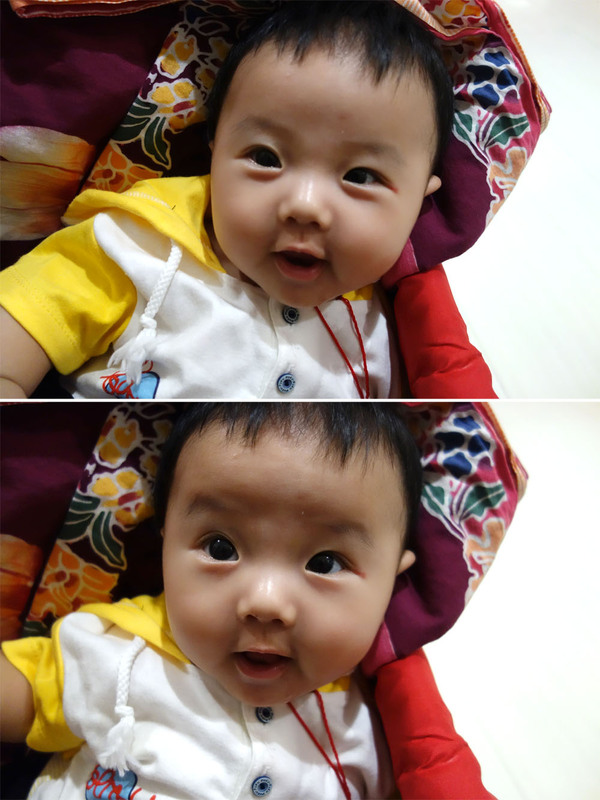 Owen CUTE!!! His face looks like his father. We went straight from Kualanamu to the city and we’re going home. Taking rest. Owen is taking a bath, He looks happy and fresh! Love that smooth soft skin like a bun. Hugs! I tried to hug my nephew, so hard to find a good position for the baby and for myself, not professional.. compare to my mother. I love my nephew so much. We will go out to have lunch and shopping. My mother planned to buy Baby Cart/Stroller for Owen so it’s more convenient to take Owen along. 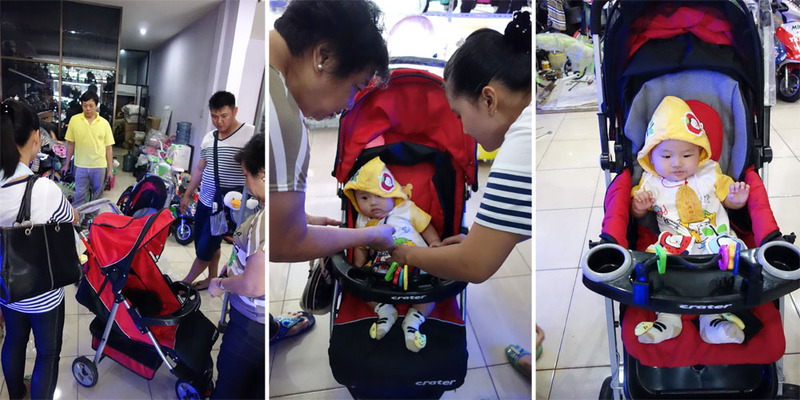 When we reached at the store, we have a hard time to choose the Baby Cart/Stroller based on the function, color and design. Probably we’re spend about 45 minutes to decide which one is the best for Owen. Owen also help us to choose the stroller by put him inside the stroller and look which one is more comfort for him. Finally, We chose the red and black stroller which more functional than others. 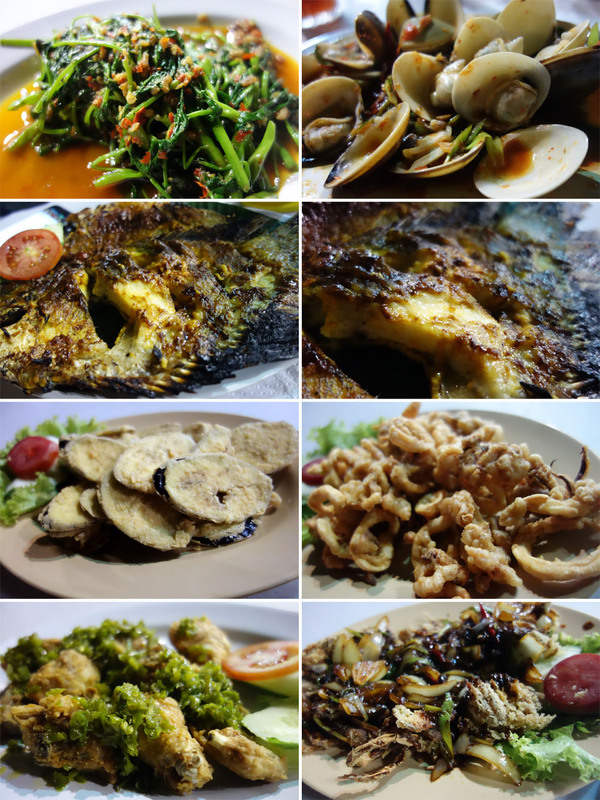 After that we’re having lunch at my favorite food restaurant – GEDHE. It serves Rice with pork. I mentioned it before at my blogs before. It’s the best! so Yummy! My brother and Dewi first time came here. He underestimate with the appearance of the restaurant. But when he ate the pork, he silenced and nod firmly. Yes, this is delicious. :p , Well now I’m hungry..
We’re full, now it’s time for shopping. 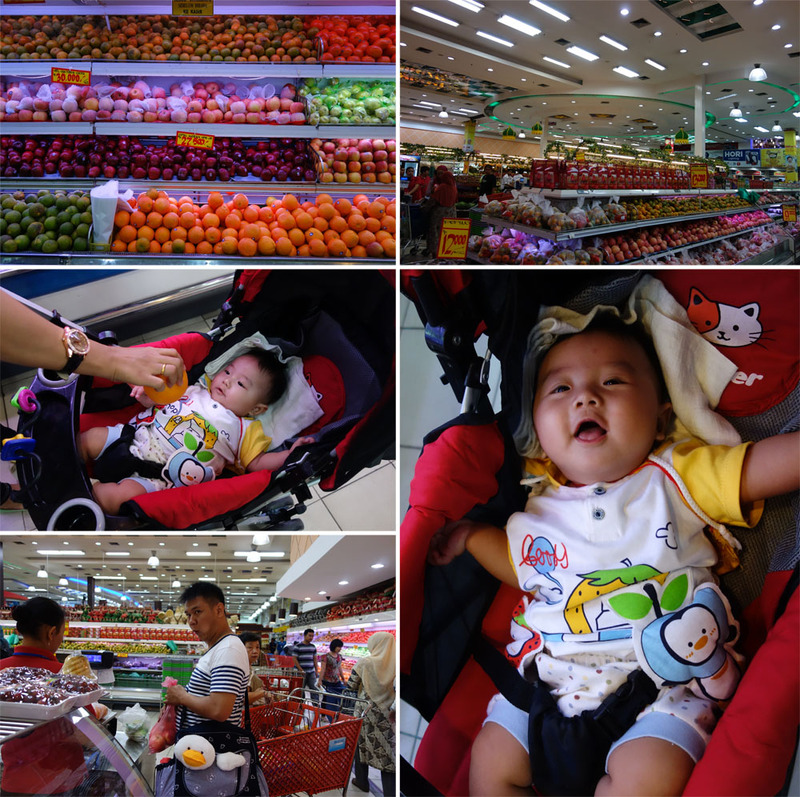 We went to Berastagi Fruit Store. Just ordinary shopping routine but happy to walk along with Owen. Love to see his smile, so innocent like an angel. Family gathering dinner, I miss this moment so much. 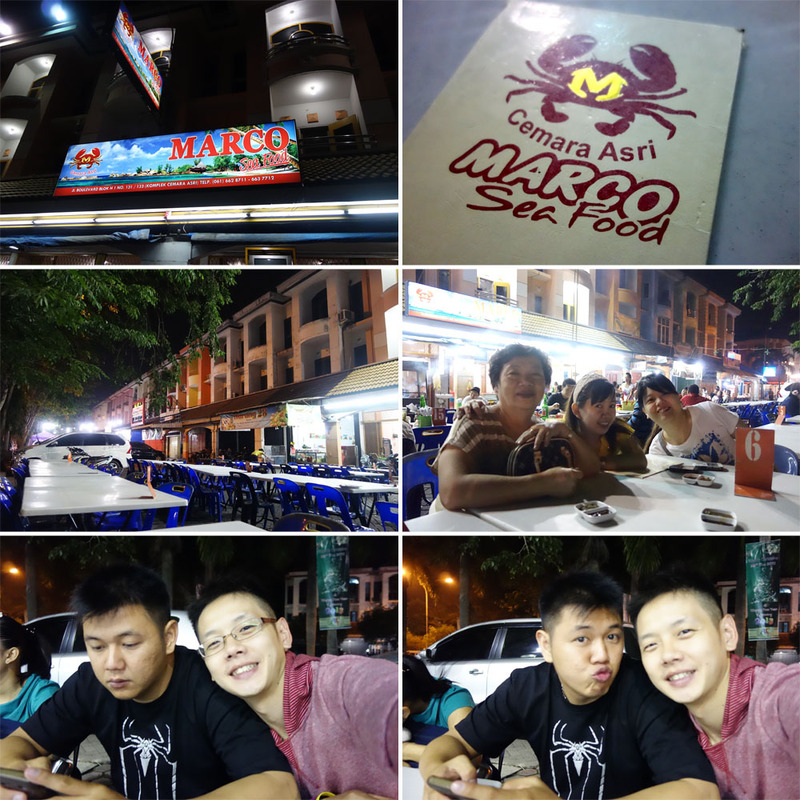 We have a nice dinner at MARCO Sea Food – Cemara Asri. Great Family with Great Foods. Love this moment. 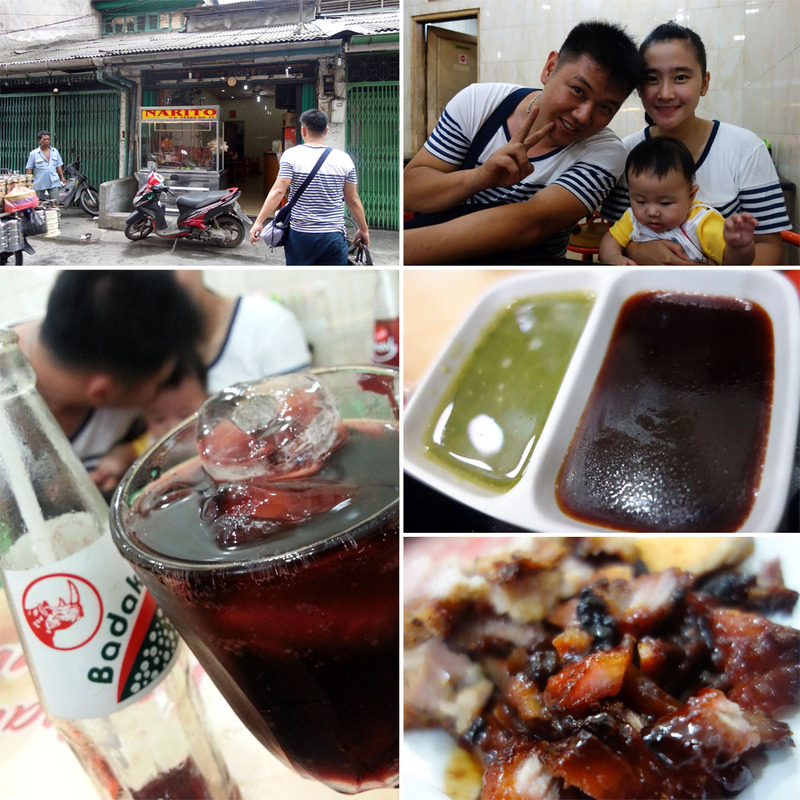 It’s been a long time, whole family eat at one table, I wish my father still alive. I salute Dewi (and all mother in the World) to take care of their baby. She hardly to eat because taking care of Owen. Sometime he cried for no reason, and Dewi has a special magic to calm him down. I believed every mother has that kind of magic with her son and daughter. She can eat after Ben replace her. Beautiful scene, Father, Mother, Son = Family. So many delicious foods, yummy! Better if we eat with family.